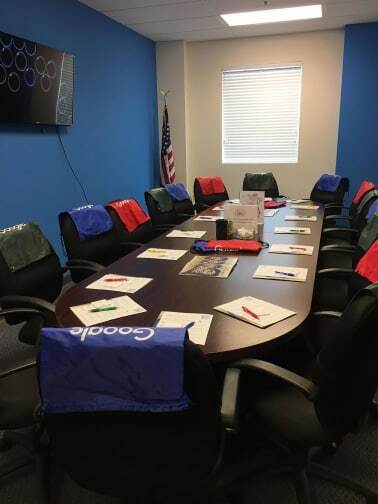 The South Tampa Chamber of Commerce is pleased to offer the use of our boardroom as a benefit of your Chamber Membership. The boardroom seats up to 14 guests and includes the use of a Smart TV and WiFi access. Meeting room rental requests must be made a minimum of 48 hours in advance. Requested dates are on a first-come, first serve basis and are dependent on the availability of the room and for a Chamber staff member to be present. Date(s) will not be held until the Meeting Room Request Form has been completed in full and payment is received. Monday-Friday, 8am-4pm @ $20/hr with a 3-hour minimum. Monday-Thursday, 4pm-8pm @ $30/hr with a 3-hour minimum. Room rentals are not available on Friday after 4pm. Room rentals are not available on Saturdays and Sundays. Click here to fill out the Meeting Room Request Form.